The attack on the nightclub has long been seen as a hate crime directed at the LGBTQ community. But all evidence says the gunman chose it at random. 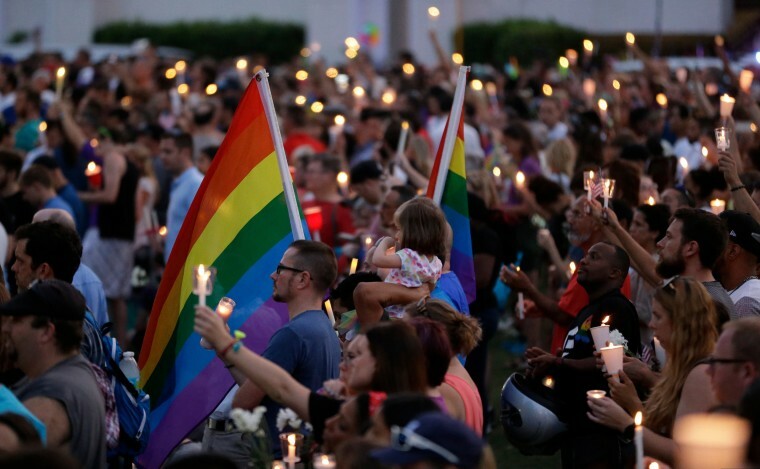 When the world awoke two years ago to the news that a gunman had killed 49 people at Pulse, a gay nightclub in Orlando, Florida, one immediate question was: Why that place? During the attack, gunman Omar Mateen called 911 and pledged allegiance to the leader of the virulently anti-gay Islamic State of Iraq and Syria, a group that releases propaganda videos of gay men being thrown off buildings. The reason he chose Pulse seemed obvious: he hated gay people. But during the trial of Omar Mateen’s widow, Noor Salman, all forensic evidence suggested that up until the moment he turned into the Pulse parking lot, Mateen had been considering other venues, rejecting them because they were more heavily guarded. In their closing statement, government prosecutors admitted that there was no evidence to suggest that Mateen knew that Pulse was a gay club. Which leaves another question: How could the Pulse attack be a hate crime against gay people if the perpetrator chose it randomly? In the initial days after the massacre, many rumors made their way into news reports. In particular, rumors that Mateen was a closeted gay man and had targeted the club out of self-hatred. Univision aired an interview with a disguised man named “Miguel” who called Mateen “100 percent” gay, but there were no electronic records of their alleged Grindr-facilitated rendezvous, and other news outlets cast doubt on his credibility. Just hours after the shooting began, Salman was in an FBI interrogation room. For 12½ hours, agents questioned her without an attorney present. By the end, Salman had signed a confession saying she had helped Mateen case the nightclub and prepare for the attack. The interrogation was not recorded. In an exclusive interview with NBC News, one of Salman’s lawyers, Charles Swift, said the FBI agents failed to record the interrogation because they sought a confession for a crime they assumed was an attack on gay men, rather than a random mass shooting that targeted Americans in general. He pointed out that the family of Stephen Paddock, the American whose October 2017 shooting in Las Vegas broke Mateen’s record to make him America’s deadliest mass shooter, was never seriously suspected of aiding his crime. So to win Salman’s acquittal, Swift and his team convinced jurors that Mateen had chosen Pulse at random. Doing so required undoing the prevailing narrative that the Pulse shooting was an attack on the LGBTQ community. The case leaned heavily on forensic cellphone evidence and security camera footage. On the night of June 11, 2016, Omar Mateen googled and visited Disney Springs, a popular Orlando outdoor shopping and recreation area. Then, just after midnight, he googled “Disney World,” and his cellphone placed him near towers around Epcot, another Disney-owned theme park, according to The Orlando Sentinel. But it wasn’t until he was near Epcot that Mateen googled “downtown Orlando nightclubs,” which delivered Eve Orlando and Pulse as top results. Mateen then drove to Eve, where he stayed for six minutes before driving away. Eve Orlando, in a busy downtown nightclub district, is in an area with heavy police presence, Swift said. After 1 a.m. on June 12, the night of the attack, Mateen performed one final Google search for “downtown Orlando nightclubs” and began to drive to Pulse. He hesitated, turned back toward Eve, then turned around again and headed back to Pulse. “Finally, around 2 a.m., Mateen fired the first shots in the Pulse nightclub,” a motion filed by the defense read. There was no cellular evidence that he had ever been there before that night. The jury acquitted her in part because of mistakes made by FBI agents during their interrogation and in particular their procural of a demonstrably false statement, her confession, the foreman continued. Swift claimed that the FBI was blinded by its desire to prosecute someone for the crime.